Do You Want to Get Rid of Your Scars? Scars mark areas of skin that have healed after a damaging event, such as an injury, a skin condition or surgical procedure. After the skin has suffered a rupture, the body immediately begins to “patch” the breach with collagen fibers. The severity of a scar depends on the amount of damage done to the skin and the individual’s natural collagen production. Proper medical treatment and aftercare also affect how scars form. In some cases, it is impossible to prevent scar tissue, but certain proactive treatments can prevent excessive scarring, and there are many procedures available to reduce the appearance of scars or remove them. Scar removal cost will depend on the severity of the scar and the procedure used. What causes a facial scar? The most common facial scars result from acne, a relatively benign skin condition. Some sufferers only experience temporary discoloration after pimples have healed. Most of us call these red or brown spots “scars”, but these are rarely permanent, and they will fade over time. Depending on the individual, post acne spots last anywhere from two to eight weeks. Picking or squeezing pimples can cause skin damage and infections, which may lead to more permanent scars. Some people have severe acne featuring painful red, inflamed cysts that are more likely to cause permanent, pitted scars if not treated. The pitted or dented appearance is caused by insufficient tissue support. When the skin does not have enough fat or muscle to support it, the scar tissue tends to sink as the area heals. Injuries and surgery can also mar the delicate facial skin, leaving various types of scars that may be flat, raised or indented. Doctors refer to raised blemishes as “keloid” or “hypertrophic” scars, which are the result of collagen overproduction. Keloids are more raised than hypertrophic tissue, and they form more often in people with darker skin tones. People who have collagen irregularities are more prone to hypertrophic scarring as their bodies produce collagen at a faster rate than is normal. The skin will continue to form new collagen tissue even after the wound has completely healed, creating a raised area instead of a flat surface. How long does it take to heal a scar without treatment? It is important to keep in mind that scarring is the result of the healing process, so a scar will not “heal”, technically, but it may fade. Scars fade faster for those whose wounds heal quickly. A healthy young person might see his or her scar fade to a barely visible line in a week. An older, less healthy adult might have a collection of scars from injuries sustained months or years before. The rate of healing and scarring will also depend on the severity of the wound and rate of cell turnover, which describes the growth cycle of skin cells. Think about a common superficial scratch that forms a thin scab. Within a week, this scab falls off to reveal a faint white line where the skin has sealed completely. The mark will not vanish right away because the upper layer of skin closed last. The immune system tries to regulate collagen production with cell turnover so that the outer layer of skin seals last, but deep, irregular wounds or lesions and resulting infections can interrupt this process. What ways are there to heal facial scars? 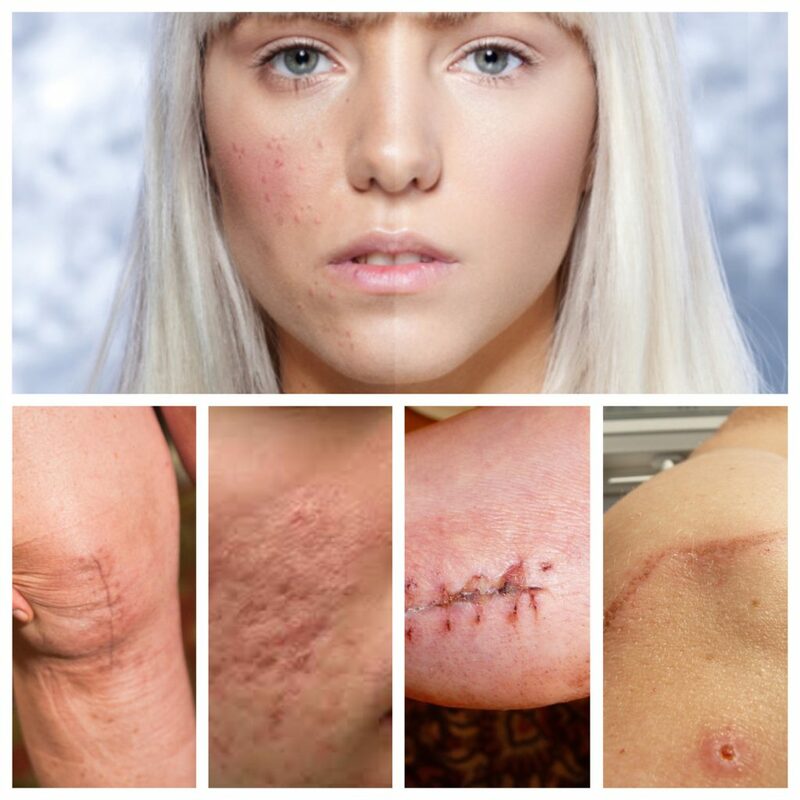 There are many treatments available to help prevent or reduce scarring. They range from simple wound care to invasive surgery. Scar removal cost depends on the intricacy of the procedure. The most popular treatments are listed below from least to most expensive. You can find a large range of topical treatments in supermarkets, drug stores, and department stores, but some are only available at full-strength by prescription. Many scars develop from excessive skin tension at the wound site. If you look closely at a healing pimple or scratch, you will see the pull marks where the skin is tightening around the scabbed area over the broken skin. Moisturizing the skin will keep it supple and relieve the tension. Anti-aging and clarifying skin treatments claim to increase cell turnover rates, which may help fade acne scars and sun spots. While these products are affordable for most people (anywhere from under $5 to over $100), the results are variable. You can visit this page to read our review about the best creams for scar treatment. Cortisone injections may help flatten severe keloid formations, but they will not remove them completely. A medical professional will administer the shots in one or two-month intervals. Most people need more than one treatment. While insurance may cover the injections in some cases, the usual cost is around $100 per shot. Dermabrasion is an invasive procedure that injures the skin so that it has to heal and grow back smoother. The technician uses a rough diamond wheel or wire brush to ensure consistency during skin removal, much like sanding a rough board down to a smooth finish. Dermabrasion has been around for several decades. It can be useful for removing superficial scars, discoloration, and wrinkles. While there is some “down-time” involved, the new skin usually grows back in less than eight days. Larger areas may need several treatments. The average cost for this treatment is $1,500 per session. As pulsed-dye laser technology has advanced, the applications for laser skin treatments have grown exponentially. Once used mostly for hair removal, lasers are also effective for reducing skin discolorations such as redness caused by broken or prominent blood vessels and dark striae (stretch marks). Laser treatments may also help flatten certain types of hypertrophic and keloid scars as well as reduce the redness that often accompanies them. Laser skin resurfacing can help smooth out raised or pitted scars by removing the top layers of skin, similar to the way dermabrasion works. Most laser techniques require multiple treatments, which cost an average of $2,300 per session. 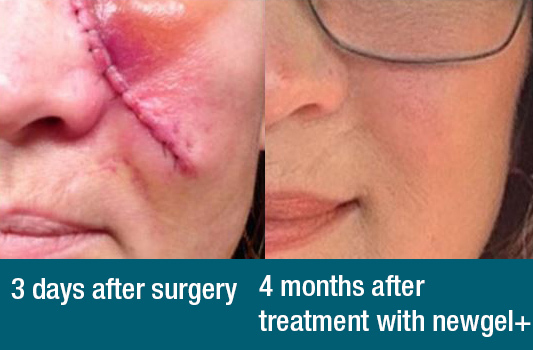 Some scars can be removed or covered surgically, as with skin grafts for burns. Most surgeons are hesitant to operate on keloids because this may lead to more scarring. Patients with faulty collagen production tend to scar worse than others, making them poor candidates for cosmetic surgical procedures. Surgery is one of the most expensive options, costing thousands of dollars or more, depending on the procedure, and it is very rare for medical insurance to cover cosmetic surgery. However, new procedures using topical preparations, injections, mechanical or laser resurfacing, and surgery can alter the look and feel of scar tissue to make it less noticeable. The costs, effectiveness, and risks of these procedures vary greatly, but with so many options available, you can find an acceptable treatment for reducing your scars.